Another good art starter when you can’t think of what to journal about is a chronicle of new things. It seems like every year, I add some permanent things to the garden: tools, pots, sculptures, feeders, etc. When you bring them home all shiny, it’s a good time to have them star on a garden journal page. Plus, they hold still and let you sketch them, unlike many other things in the garden. This page was done with pan watercolors in my Stillman & Birn Beta journal. I didn’t do any transferring – just sketched with 3H pencil and painted over. These pots really are a find. They are beautiful and look just like ceramic. You all know I don’t like plastic much, but I needed to get those Hibiscus into large pots and I have to be able to move them – to rescue them from hail. These are still managable even when full of wet dirt. And they look natural. Corona is my favorite brand of garden tool and I am excited every time I get a new one. The one in the journal is a mini lopper. And, of course this trip to Lowes also yielded some Morning Glory Seeds. I have some full grown already that I started from nursery plants, and I am about to start another crop from seed. I got some incubators I will be telling you about, so they will get enough overhead light and still not get eaten by bunnies. Another GREAT Thing from Lowes . . .
Oh do I love this app! First of all, the print magazine you can pick up in the store is really good, but the interactive version on the iPad is TOO wonderful. Great animated graphics – like watching little gardens grow right before your eyes, and every project has step-by-steps and supply lists to click on. It is ultra-entertaining – and free! And maybe my favorite thing – Pin It! buttons with every article, so you can keep and share the projects for future “doing”. Yay for Lowes! This is marketing at its best. Receive an Email notice when new posts are published. This entry was posted in Art Journaling, Creative Inspiration, Gardening, iPad Stuff and tagged iPad Apps on June 28, 2013 by jessica. Go through a magazine, see two or three items of interest, turn down the page corners, put the magazine away. Wait years before you pick it up again, look at the marked pages, realize that you forgot about that interesting thing entirely, consider tossing the magazine away, don’t throw it away because now you remember there is something of interest in there. Put the magazine back on the stack. Sound familiar? Soon the Hoarder Police are knocking on your studio door. Then, maybe, you go through a few of those magazines, tear out the interesting articles, and recycle or gift what’s left. Stack those articles in a drawer, or maybe even file them – and they are never seen again. But, they’re taking less space at least. Remember what was in that interesting article? Not. I love my iPad for so many reasons, but here is another way it has changed my life. Now, I take a photo of that interesting article with my iPad, paste it into a journal called “Snippits” that I keep on my iPad, add a couple keywords so I can find it later, and recycle the paper magazine. My Snippits Journal becomes one big magazine that has only the things I found noteworthy in a hundred paper magazine. And the photos the iPad shoots of the magazine page are amazing – just as good as a scan! 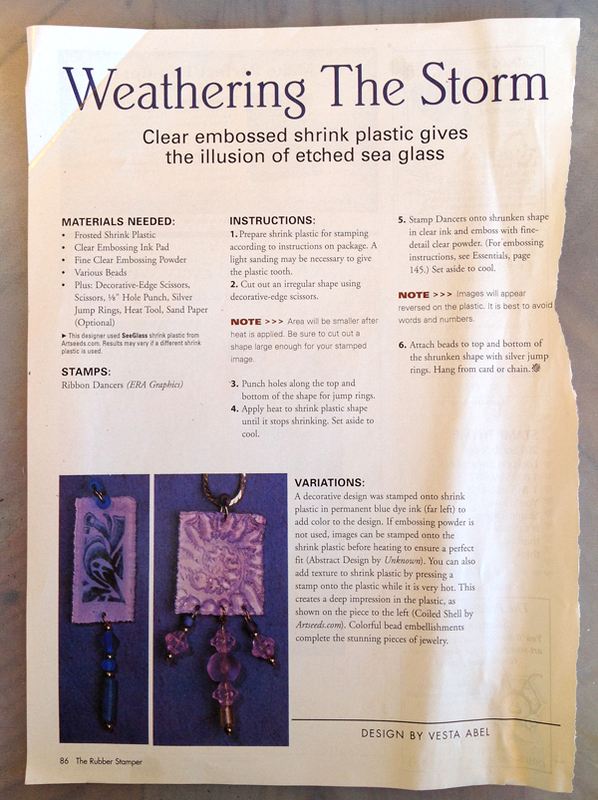 So, the tip about using the oven to melt embossing powder at the beginning of this post is from my Snippits Journal. See how clear and easy to read? I also started emptying drawers full of clippings and torn out pictures. I just lay them on the desk and snap a photo with the iPad. And you know how torn out articles have those rough edges and get all crinkled up? Once I have them on my iPad, those rough edges don’t mean a thing, and they don’t get any more wrinkles either! I bet you recognize the author of this article . . . she is coming to visit for a week!! Tonight!! I am so excited! And . . . you can zoom in on the photo to read it better. 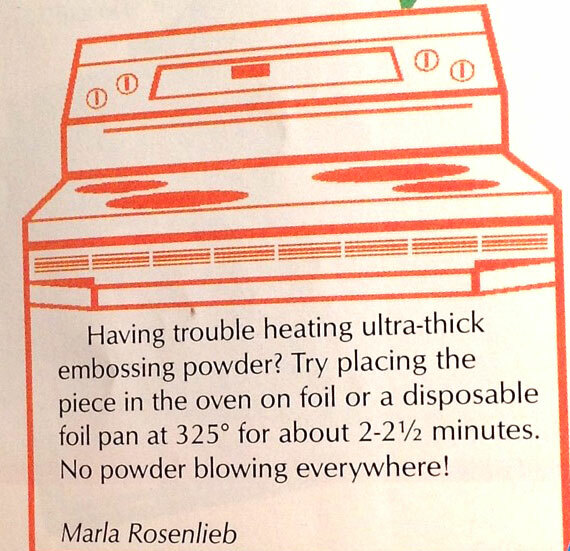 Now, that first tip about using the oven to melt embossing powder brings me to a question I have. 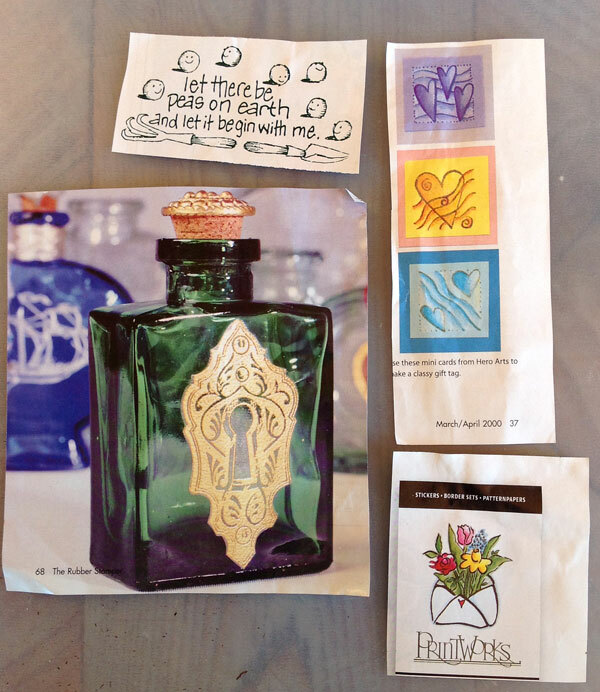 Have you found melted embossing powder to stand the test of time? I’m talking about the regular stuff, not the Ultra. I make a lot of cards for the gallery and could do some interesting effects with EP, but I hesitate. Some embossed things from years ago have gone dull and have to be reheated to shine again. Reheating won’t be an option for a card that gets sold. Embossing powder came from the process called thermography (poor man’s engraving), with which they would make the business cards with the raised printing years ago. I still have some of those business cards and they are fine, but many pieces I made with the stampers embossing powders, especially the clear, have not fared so well. What has your experience been? Thank you for your enthusiastic response to my new book. I hope you are all out there with your pencils looking a flower in the face!! 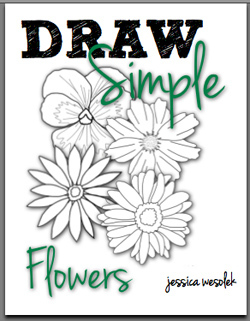 This entry was posted in iPad Stuff, Organizing on August 17, 2012 by jessica.